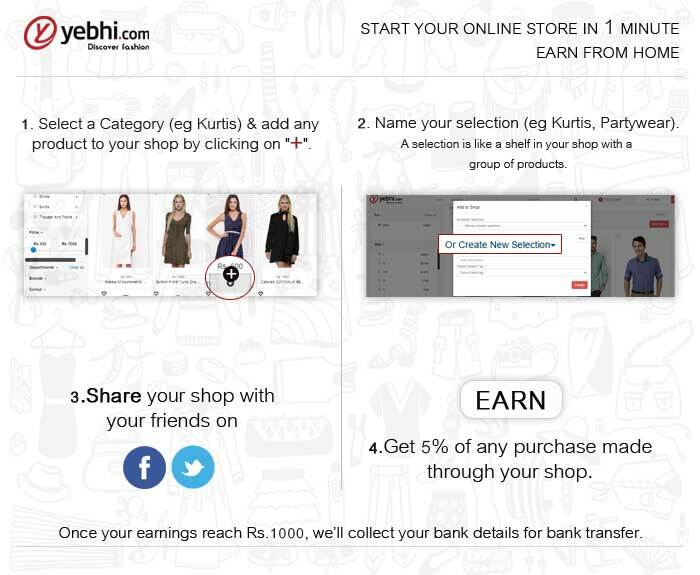 Get cashback everytime you shop through Yebhi. Use these coins to buy vouchers and exciting deals. This cashback is over and above the discount you will get at the seller’s store, and will be credited to your Yebhi account after your order delivered. men's Collared T-shirt Fashion is no more limited to ramps and runways. You don’t need a million dollars to be stylish, trendy and feel good every day. Fashion need not necessarily be defined by fashion designers only. We know you are a trendsetter with your own mesmerizing style statement. Yebhi.com offers a diverse platform for all your fashion needs, be it apparels, footwear or accessories, we have it all from all across online fashion market places. If you would like to make an effortless style statement, while going out with friends, then a well-fit casual shirt is all that you need. Casual shirts are available for men in different styles. Be it solid colours or check-prints, a casual shirt instantly uplifts your style. Revamp your boring office wear with the smart and cool casual shirts and team them up with fashionable coats and trousers for a perfect corporate look. There is a fabulous collection of casual shirts in a variety of colours available on Yebhi.com, one of the leading online shopping portals of India. 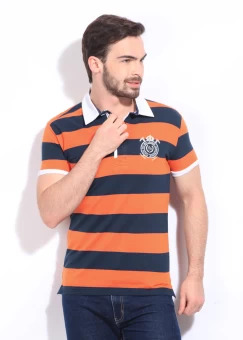 Complementing your style trends, we bring Status Quo Striped Men Polo Neck Tshirt to enhance your wardrobe collection. Status Quo Striped Men Polo Neck Tshirt is a modern Collared T-shirt which can be worn on Collared T-shirt occasions. This smart Collared T-shirt is available with online store <a href='http://www.yebhi.com/'> yebhi.com</a> designed by fashion house/fashion designer Status Quo. The delivery of this product will be free of shipping charges or at minimal charges of shipping charges. The Status Quo Striped Men Polo Neck Tshirt is available in various sizes L,M,S,XXL.The will redefine your look making it smart and trendy, yet again. The product Status Quo Striped Men Polo Neck Tshirt is available at the affordable price of 500 on an amazing/eye popping discount of % thus making it light on your pocket too. What's more! On purchase of casual shirts your Yebhi account will be credited with yCoins which you may use for further shopping with us. Use these coins to buy vouchers and exciting deals. This cashback is over and above the discount you will get at the seller's store, and will be credited to your Yebhi account after your order delivered. This Collared T-shirt will give a contemporary look and will add a ultra-modern style statement to your fashion collection. While in the market, the branded Collared T-shirt of Status Quo starts at 499 whereas Status Quo Striped Men Polo Neck Tshirt is available at such a low price of 500 on Yebhi.com only. Shop now and make this product to flaunt your exclusive good taste in fashion.